China plans to draw up a guideline to help its equipment makers, particularly railway and nuclear companies, to expand exports, the country's top economic planning body said on Friday. Formulation of the guideline has just begun, and it will include supportive financial policies to promote exports of Chinese-made equipment. The development was announced by Wang Xiaotao, vice-minister of the National Development and Reform Commission, at a news conference. "There is global enthusiasm for infrastructure projects, and railway construction has become an important measure for many countries to promote growth, both in developing and developed nations," Wang said. "This provides a key opportunity for China's railway firms to go global." China's locomotive exports reached $4 billion last year, accounting for 10 percent of the global market. Key markets include Asia, South Africa and Latin America. Analysts said the combination of China's top two train-makers, CSR Corp and CNR Corp, is expected to further strengthen competitiveness of Chinese companies. 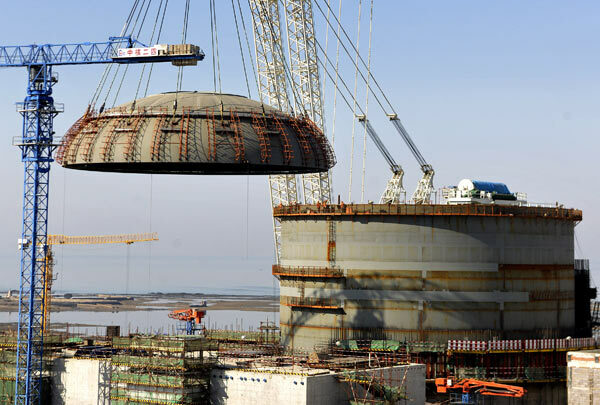 Wang said China is involved in initial discussions with several countries on the possibility of exporting its nuclear power equipment. It is exporting the technology to Pakistan and Argentina. China has assisted in building six nuclear reactors in Pakistan with a total installed capacity of 3.4 million kilowatts, he said. The country signed a landmark deal on Wednesday to export nuclear technology to Argentina, including a heavy-water nuclear reactor that was developed based on Canadian technology.